Thanks to digital media, future generations will probably have no trouble hearing Arnold Schwarzenegger say "I'll be back" or James Earl Jones, as Darth Vader, telling Luke that he's his father. Now, Wikipedia wants to give other notable people the same treatment. The crowd-sourced online encyclopedia wants to add audio clips of people who are the subjects of articles on the site, "so that Wikipedia's readers know what they sound like and how to correctly pronounce their names." The brainchild of Wikipedia editor Andy Mabbett, the Wikipedia Voice Intro Project (WikiVIP) was announced this weekend. It asks people who are the subject of articles to upload audio clips, about 10 seconds long, of them speaking. The clips will be added to their pages. In the early going, the project has a distinctly British feel to it. 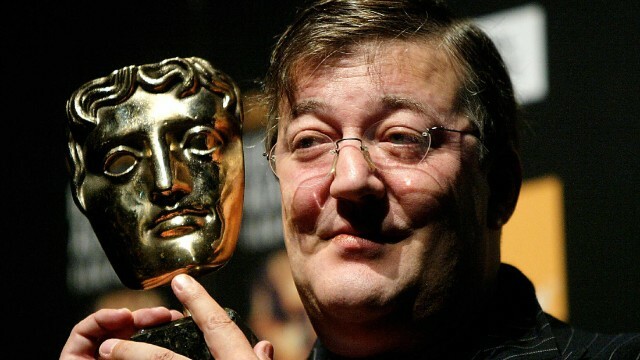 Writer and actor Stephen Fry was approached by Mabbett and became one of the first celebrities to lend his voice. In his Wikipedia biography, an audio link now appears after his name. "Hello. My name is Stephen Fry. I was born in London, and I've been in the entertainment business since, well, I suppose about 1981," he says in the recording. Volunteers have also identified more than 300 clips from the BBC they'd like to use. The British network is reviewing the clips and has uploaded more than half of them, according to the announcement. Examples include Tim Berners-Lee, the English computer scientist credited with inventing the World Wide Web, and Burmese opposition politician Aung San Suu Kyi. People who are the subjects of articles and willing to participate are asked to e-mail project volunteers. Wikipedia also is seeking volunteers to help transcribe the recordings, as well as to encourage article subjects to participate.